This got started in my Apache thread. 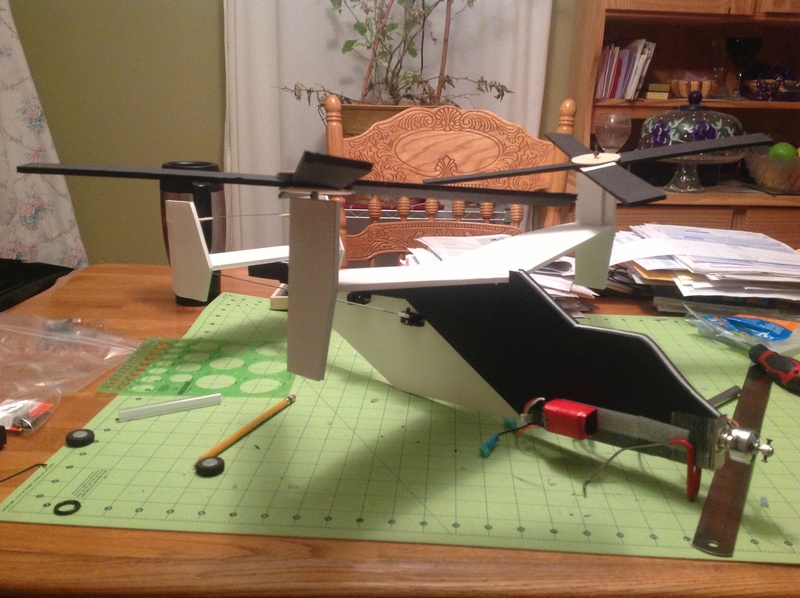 I think I'm gonna build an osprey and see how it works. Few things I'mm going to have to consider. How to control the twin rudders with out getting the way of the elevator, the proper CG and how to do the landing gear so I keep the blade out of the dirt. Also this is the motor setup I have been using on my builds. Should I go bigger or will this be fine? I need to get a new prop as I trashed my small one last night when the nutball flipped over. here is the drawing I have of the side view. Look at Twirl, remember, if it balances the same the fuselage can be any shape you want really, so maybe start there and modify. But above all, focus. You'll get a dozen half finished projects and very little satisfaction at this rate. Luckily, they are not that long of projects. Figure one a week and see it through completion. I know of what I speak. I have to clean a building table off that has projects that are, uhhhh, 10 years old now? EEash. I start digging and do the "When did I get this?" syndrome constantly,. And ill update here.... Just checked tracking on radio.... It's in my post office box. Hope I get home from work before they close tonight. Hurray! Raptor flying coming right up! Epic fail on hobbypartz.com . I had selected ups not USPS so when I put the shipping address I used my street address.... Well I don't get mail at my house I use a PO box. Ups does not ship to PO boxes. Needless to say its on its way back to la puente California as I type this. I'm on hold with them waiting for someone to pick up so I can try and fix this problem. i was right it was supposed to go ups. So once it gets back to them it will ship out that day UPS and will be a priority ship and it will be here end of the week. they also gave me a discount, 5% back on the order. So I guess I'll just have to fly the big bird with the boy this weekend. epic What does Bilbo say at the end of this first movie? "I feel the worst of this journey is now behind us?" You ain't kidding!!!!!! 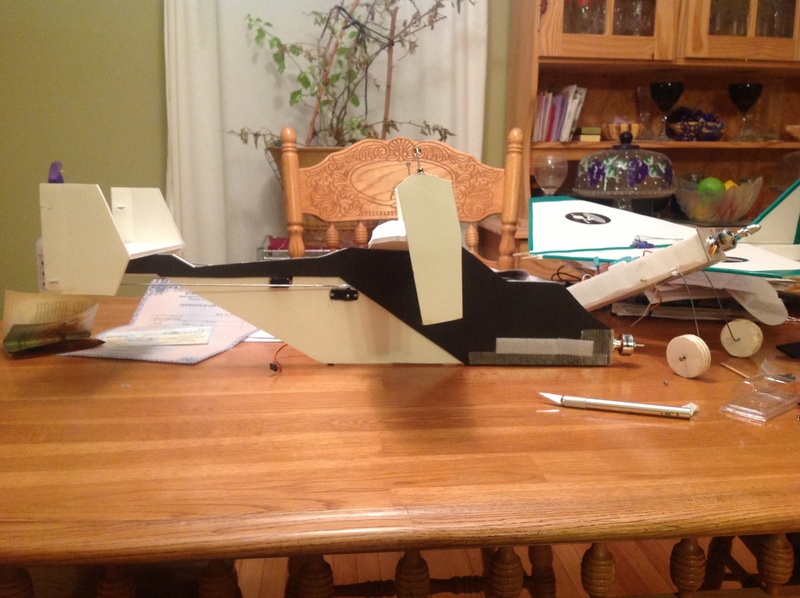 Ill be so glad when I get that new radio and when the flite test kits show up ill have everything to really fly. 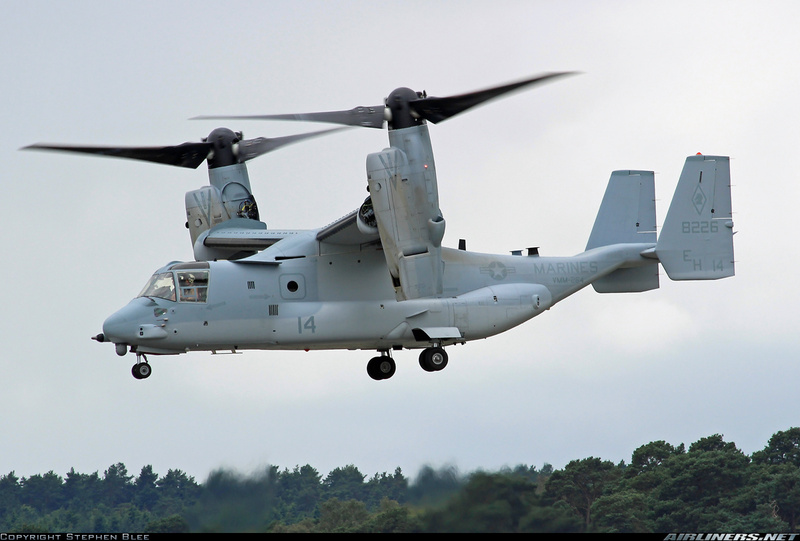 Used to watch them at Naval Station Norfolk, and sometimes see them flying along the coastline at Hatteras Island. Banana Hobby sells one, but they're out of stock. 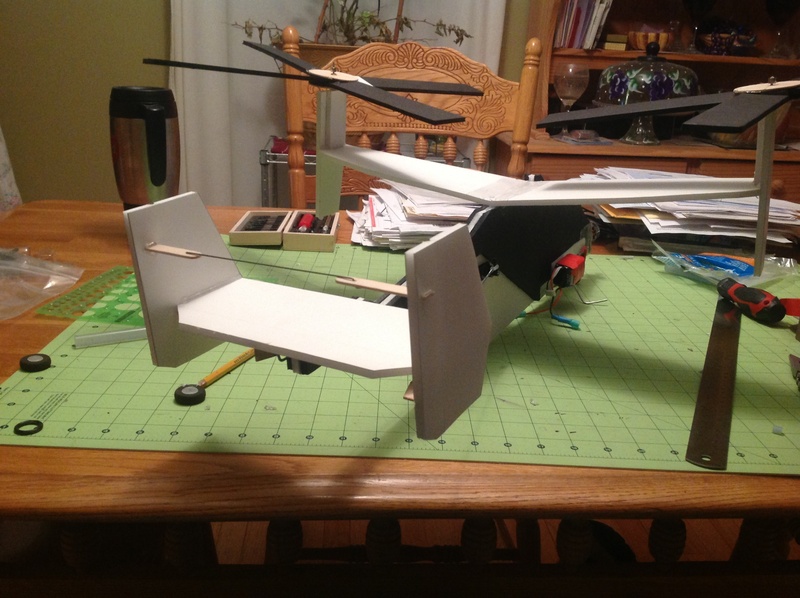 I think what you need is similar to what flitetest did with the avatar gunship. It needs to be refined though. It's windy right now so I took it out to test the spinners and they work great. So once I get a decent day ill hook up everything and try and fly it. Here is where I'm stopping. Not going to rush this one. 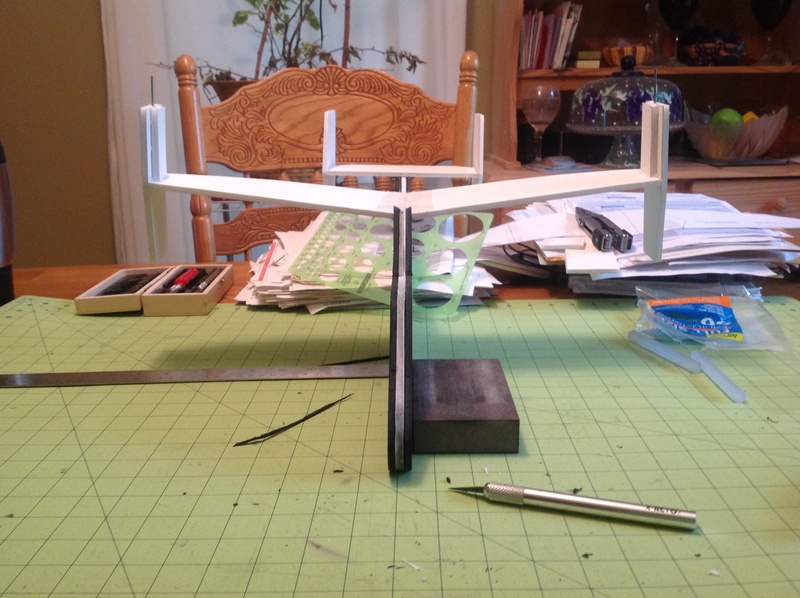 With out landing gear, prop and the receiver puts the cg one inch in on the forward section of the wing. Can you post specifics in terms of dimensions and angles of thrust? 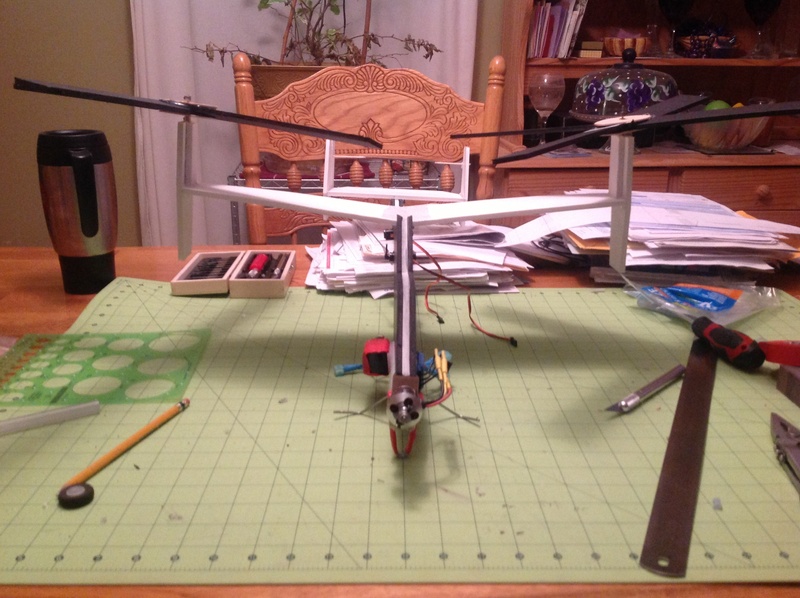 On a superficial glance, it looks like your rotor axles need to be angled slightly back. An autogyro works like a wind turbine in reverse. Check the pitch on your rotors, too. 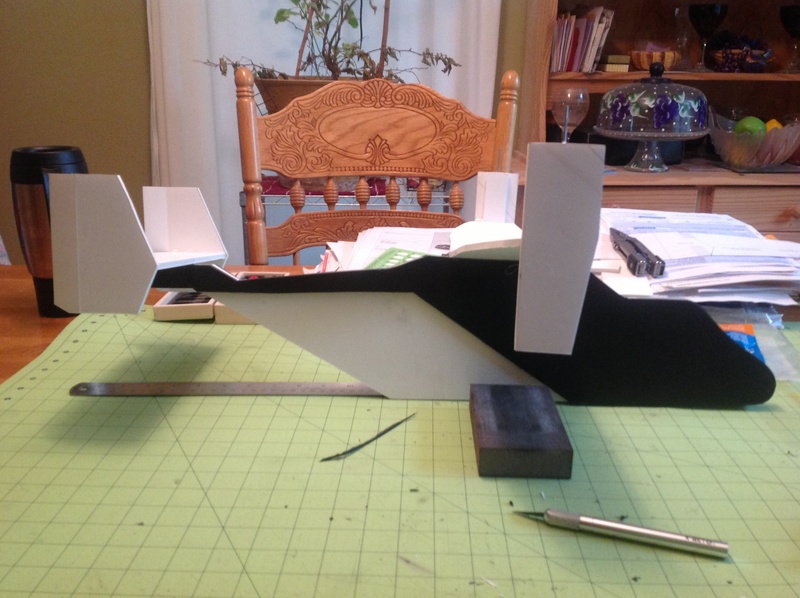 You may want to sand the leading edge into more of an airfoil shape. You know, I was thinking about that. 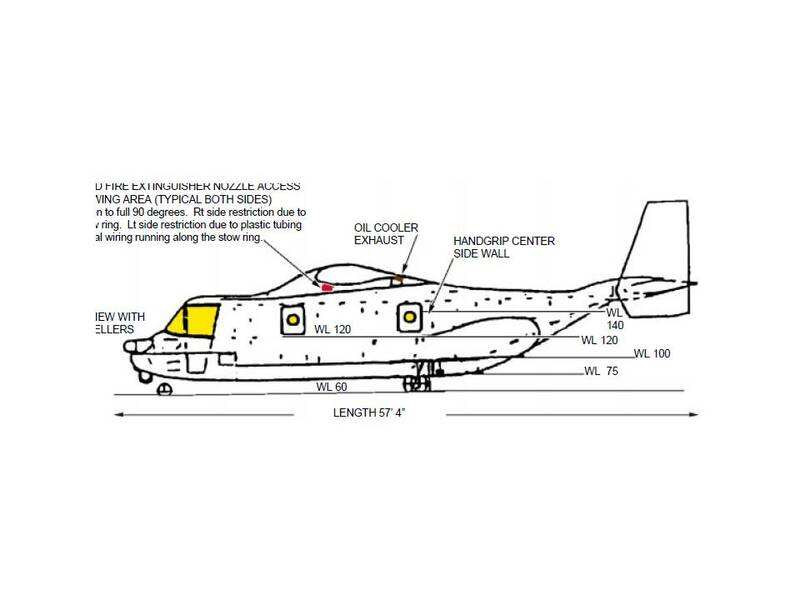 Wouldn't that make it less wind resistant and therefor require more airspeed to function? I wonder if you could cup them to cause more drag and have a super low stall speed.